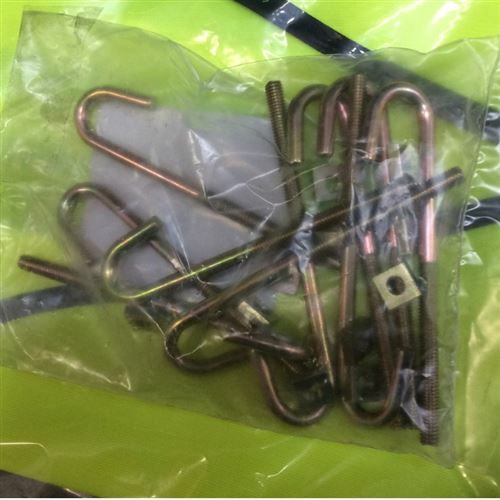 80mm long ' J Bolts ' in packs of 10. These come with the nut, but the washers and caps need to be purchased separately. 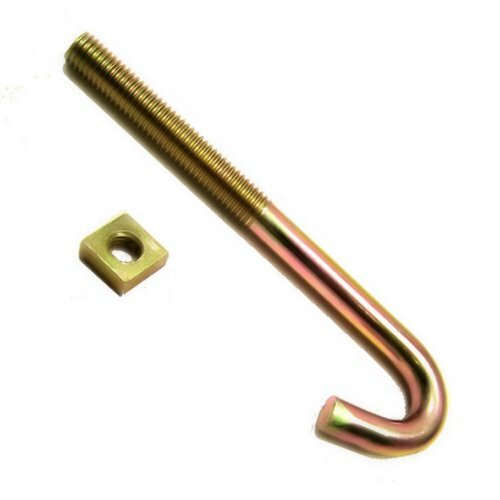 These fixings are used often for fastening corrugated sheets to angle iron, a traditional purlin used in the construction of steel frames. They are made from brass and are 6mm diameter thread.